It happens to everyone, whether you are a working writer or someone who writes for their business. You get stuck! There is little more frustrating than being on deadline and at literal loss for words. The trick: find something else to write and prime your engine. Think of it like writing warm ups. You'll be writing what you need to in no time. Here are 5 quick things you can do to get the writing engine going. 1. Write a Review. Did you just have a terrible experience at a store or restaurant? Or a particularly awesome one? Take five minutes and write a review Whether or not you post it or send it to the establishment is up to you. But usually if you are passionate about something - and have something to say - the words just flow. 2. Make a List. This can be a grocery list, plot points, future article topics. Anything. Just start writing. Lists are so easy. You can even make a list of types of lists to make when you get stuck in the future. 3. Rant. Is someone or something bugging you? Did your neighbor do something incredibly rude? Is a client being extremely difficult? Get it out of your head and onto paper. You may be stuck from being preoccupied. The sooner you release that energy, the more likely you will refocus and get writing. 4. Rave. If you are having a bad day, it takes a little extra effort to look at the bright side. So, go ahead and look ... even it requires squinting. Think about something that makes you happy (or something for which you are grateful) and write about it. It will put you in a better mood and help change your perspective on your "stuck" project. 5. Write a Letter. This can be a real live snail mail letter or a quick email reply. Writing is writing. Do a few have-tos or want-tos to get in writing-mode. 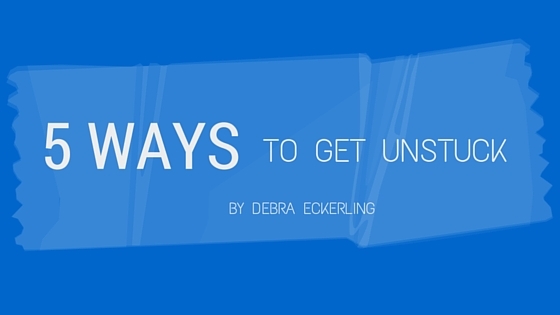 If you need or have more than 5 minutes to get unstuck, try these bonus tips. Bonus Tip #1: Journal. Kind of like ranting and raving, get the extra thoughts out of your head and down on paper. It will help you clear your mind, so you can be more productive. Journal for 5 minutes or 15. Whatever it takes to get out of your head and back into writing. Bonus Tip #2: Take a Break. Walk around the block. Or walk around your home. Meditate. Exercise. Do something to give yourself a jolt and refocus. Bonus Tip #3: Work on Something Else. I generally recommend people have more than one project to work on simultaneously. That way, when you get stuck on one, you can move forward on the other. Put some effort into another project. Once you are motivated to work on one, allow that momentum to move your other project forward. The most important thing to remember when you get stuck is you are not alone. Take a breath. Shake it off. And move forward. You can do it! How do you get unstuck? Leave your tips and tricks in the comments. 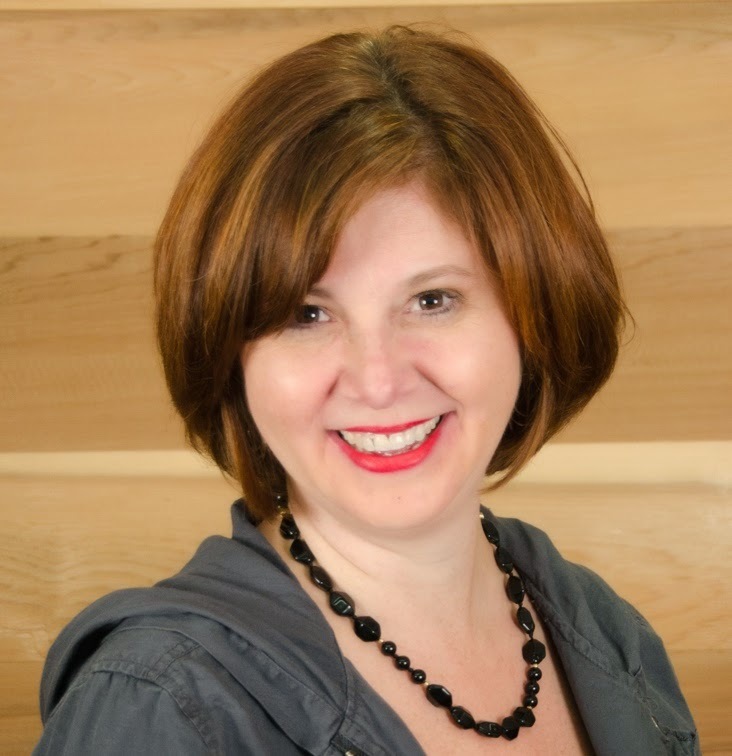 Debra Eckerling is a writer, editor and project catalyst, as well as founder of Guided Goals and Write On Online, a live and online writers’ support group. She is the host of the Guided Goals Podcast and author of Purple Pencil Adventures: Writing Prompts for Kids of All Ages. Debra, great tips on getting unstuck when the writing just won't flow. I love #2 - make a list of lists. Anything to get the fingers and brain working together! Thanks, Karen! Yes, absolutely! The #2 tip is my go-to, although I like to mix it up and do the other things as well. Oh, unstick me please! I knew you could do it, Deb! Good ideas, Debra. I find that working on something else helps me get unstuck. Thanks, Suzanne. Yes, anything to get your writing brain running will usually ramp you up. Great tips Debra. I love you bonus tip - work on something else. I need to take a break from one project, and having another project keeps me working. Thanks, Mary Jo. Best of luck with your projects! Great post as always, Debra. I'm hoping the tips mentioned here (I especially loved #2) can also make wonders for writers who suffer from writing fatigue. Loved the bonus tips as well! Thank you so much for your comment. I hope so too. Let me know how it goes! Good suggestions. I've found if I write one sentence, good or bad, it leads to another and another. I don't worry about continuity at the time, but before long my sentences flow smoothly. If that doesn't work, taking a walk helps. I should carry a small notebook because I start writing in my mind. Mary, thanks for stopping by. It's so true, once you get yourself in gear and start writing it kind of takes over and the sentence keep flowing. My problem is sometimes not wanting to get in gear on a particular project.